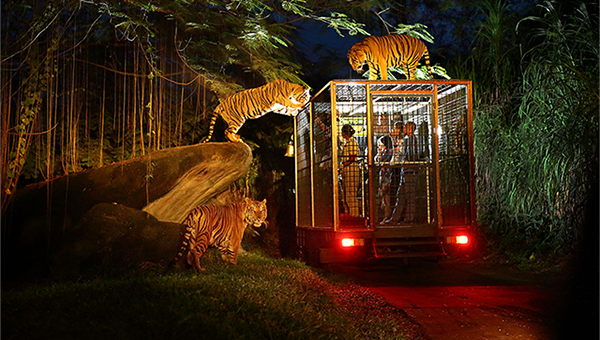 Jurong Bird Park is a tourist attraction in Singapore managed by Wildlife Reserves Singapore. It is a landscaped park, built on the western slope of Jurong Hill. 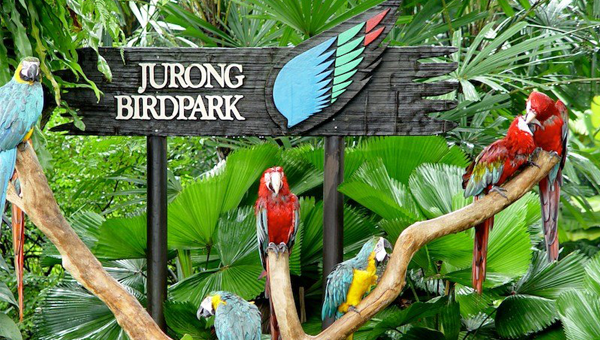 Jurong Bird Park is now a world-famous bird zoo where there are specimens of magnificent bird life from around the world, including a large flock of flamingos. It is currently the world’s largest bird park in terms of number of birds, and second largest both in number of bird species and land area. High Flyers Show This bird show showcases the world’s largest number of performing birds in a single act. Besides highlighting the antics of talented birds like the mimicking cockatoos, this show is also a window for visitors to the natural behaviour of birds like pelicans, flamingos and horn bills. Kings of the Skies Show Visitors can watch birds of prey such as eagles, hawks and falcons, who will fly in aerial loops and soar above the treetops. Visitors will also learn about falconry as these birds are put through their actions in a stimulated hunt. Lunch with the Parrots Visitors can enjoy an entertaining parrot show over lunch, with a beautiful view of the Flamingo Lake in the background.